Hello blog, I’ve missed you. In fact, I’ve missed having some solid time to sit down and settle with my computer after running around like a chicken with its head chopped off. And I do mean that both mentally and physically. The last couple of weeks have been filled with bookish event after event which have taken a severe toll on my solitary writing cave status—but alas, it’s all for the best. I mean, I guess I do need interactions with friends and contact with the outside world some times, right? Just kidding. It’s felt like absolute chaos, but only the very, very best kind. 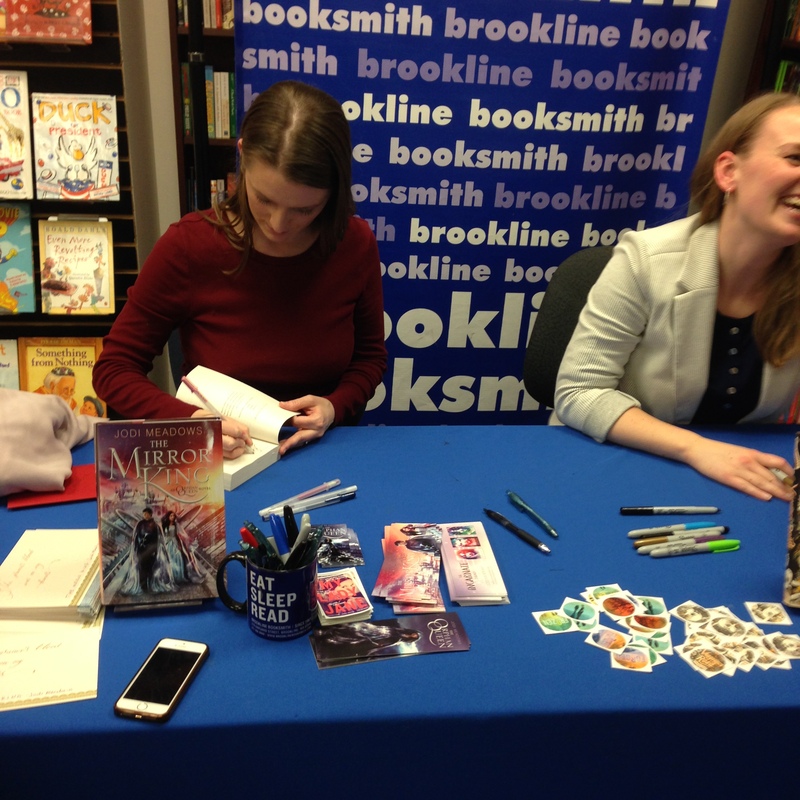 Without further ado, here comes some old news, new news, and as always, bookish news! Revisions have been . . . going! While I wish I could say that I’m speeding through my revision to-do list like some literary Tasmanian Devil, I’m not. And that’s seriously okay. With what I’m currently working on in this first round, I know that trying to rush through everything would only make more messes, and I already have more than enough on my plate with this manuscript as it is! And with the amount of changes I’m making, I sure as hell want to do them right. So far, I have already drafted over 10k of new scenes—most of which will need heavy editing, but hey, it’s a grand start. And what’s even better, this new direction finally feels right 😀 What really held me up in the beginning was not knowing where to go with the fresh material I needed to add in. But after taking the time to let all the notes absorb and to let myself feel inspired again, I have found the way! We’re not quite near the end yet, but it’s definitely in sight from where I’m standing! Oh boy, I am SO not allowed to buy anything for the next five years from the sheer amount of books I’ve bought this entire month. Not even food . . . okay, no, that’s crazy talk. But for those who understand the pitfalls of compulsive book-buying, you get the point. This April has just been one huge bookish spree for me—so huge, that I’m dividing this post into two parts! And so huge, that my bank account is currently weeping. Womp, womp. 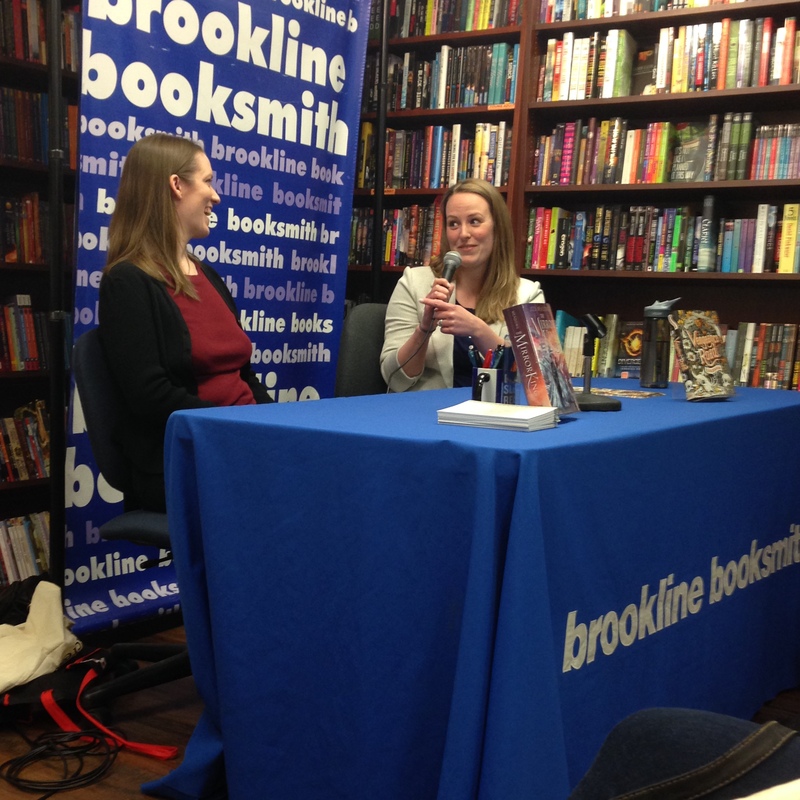 First off, in early April, I went to an event at Brookline Booksmith for Jodi Meadows’s The Mirror King, which also included Erin Bowman on the panel. 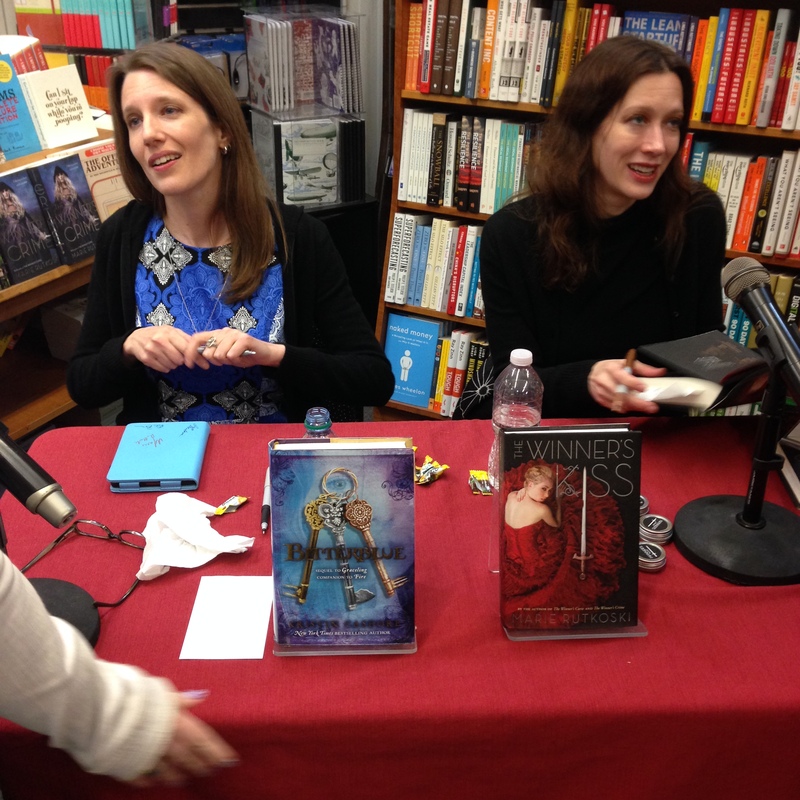 Both ladies were hilarious together, and offered some amazing insight into their books and writing processes (all of which can be seen in full detail in this blog post by my writing buddy Ellie!). I seriously love hearing authors talk about their books and all the things behind what’s actually written on the page. 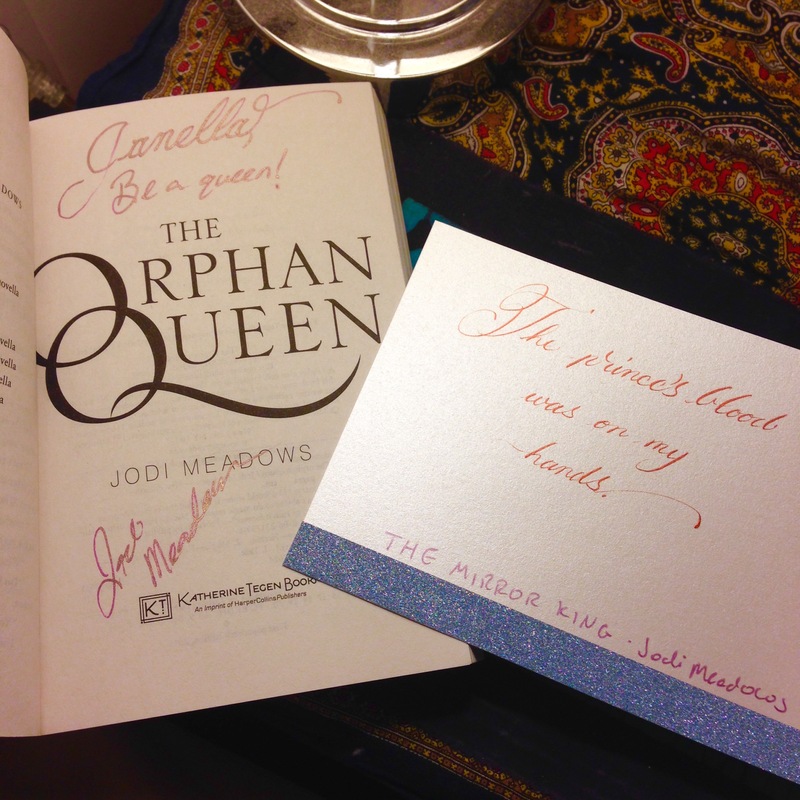 It makes me even more intrigued and excited to read, and you know there was no way I left that event without purchasing Jodi Meadows’s The Orphan Queen to start off with! The next day, there was a Richelle Mead event somewhere near my town, but unfortunately I couldn’t make it because 1) I was semi-burnt out from the book event the night before, and 2) it was POURING cats and dogs that night. How anyone could’ve been traveling that night and lived to tell the tale astounds me! Thankfully I was able to see Richelle the week after at RT (Part 2 bits! ), where we commiserated over how weird New England weather is. 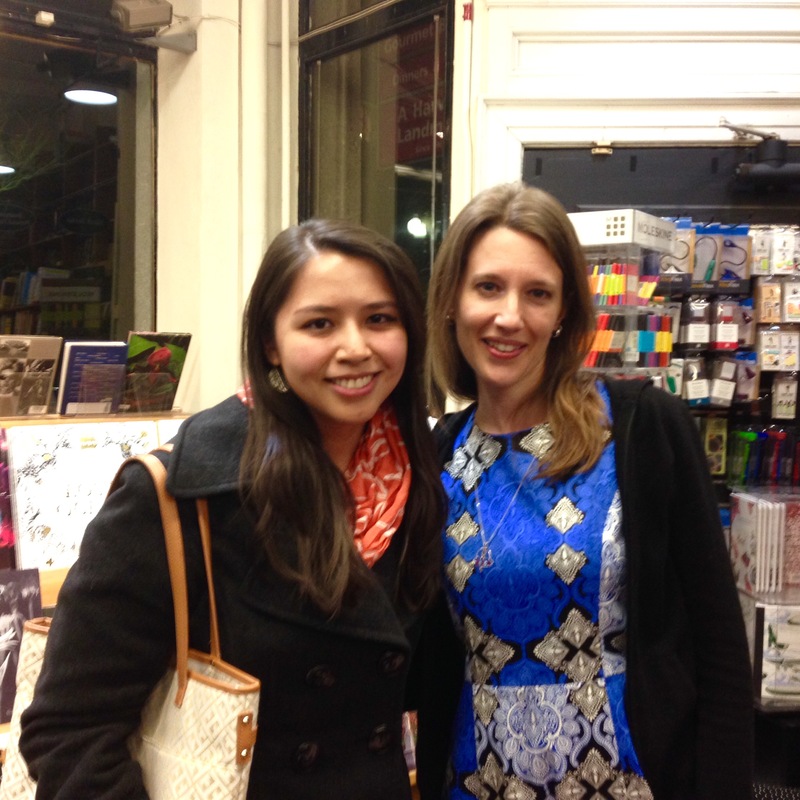 Then, the day after rainpocalypse, the sun came out and I set out to go to Marie Rutkoski’s event in the Harvard Book Store for The Winner’s Kiss, which also featured her in conversation with Kristin Cashore!!! Even though Introverted Janella really just wanted to stay at home and write in the cave, I knew I just HAD to go to this event. 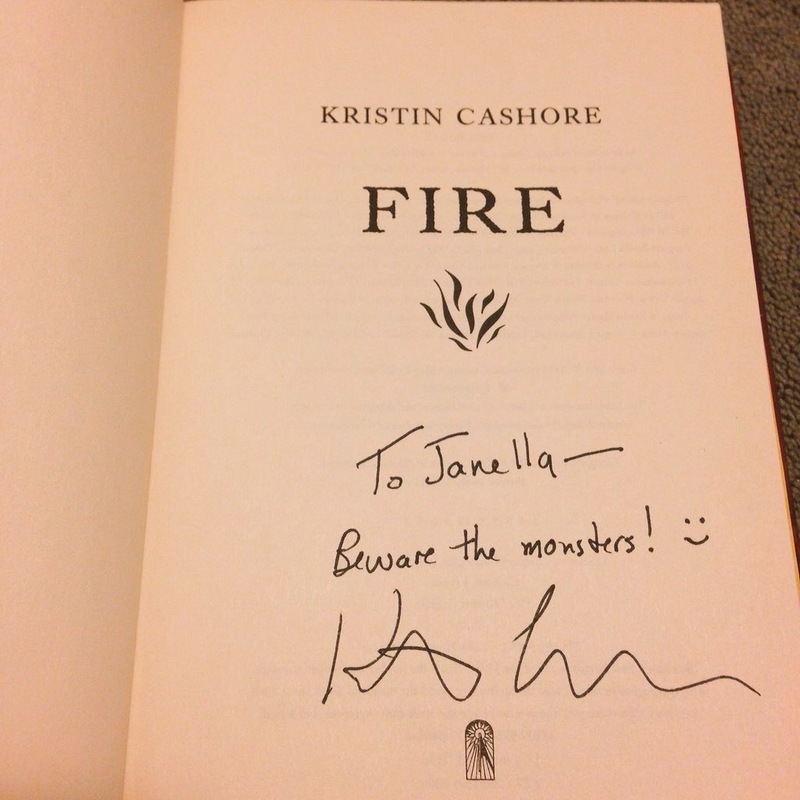 Not only to get The Winner’s Kiss and see the fabulous author behind it, but also to get my beloved copy of Fire signed by THE Kristin Cashore. Even though I’ve read all of the books within the Graceling realm, Fire has ALWAYS stayed with me for the longest time. It’s one of my favorite fantasies ever, and I honestly can’t flail enough over it (cc: Erin, my fellow Fire fangirl). Because Kristin rarely does events, it was seriously so insane being able to meet her, gush over Fire (which she really appreciated since so many people have told her that they prefer the other Graceling books way more, believe it or not! Blasphemy, right?! ), and get my books signed. The night was made even better after hearing these ladies speak as authors and friends with their ridiculously adorable rapport. So this was just Part 1 of my bookish adventures in April! Next up, even MORE sinful book-buying in Las Vegas where I reunited with my CPs for RT!!!! Wow! So many awesome things going on in this post!! 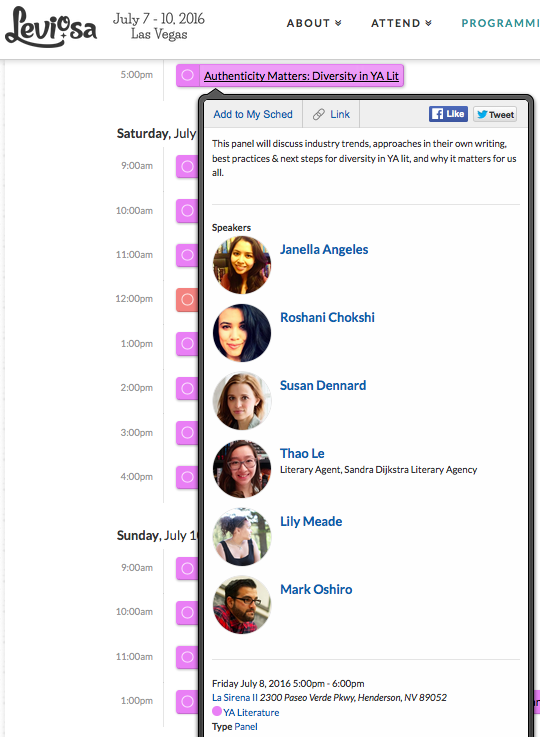 That is so freaking awesome that you’re already doing a panel! I wish I could go see and support you! Next time! Can’t wait to see your recap on RT! And thanks for the linkage ^__^ It was so fun hanging. Thank you Ellie!!!!! ❤ ❤ ❤ You have all the best event recaps on your blog, I just HAD to link back! Thanks Meg!!! 😀 Oh god I might lose it if someone starts recording lol! !